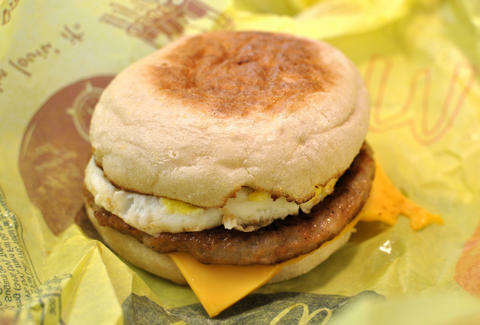 What could be the final shots of the breakfast war have been fired, and they're afternoon McMuffins. It took decades, but now, McDonald's is finally preparing to launch all-day breakfast across America, according to a report by Nation's Restaurant News. Following successful test launches in San Diego and a few other markets this year, the fast food giant has issued an internal memo warning franchisees across the country that all-day breakfast could happen as soon as October. In other words, the days of just missing the 10:30am breakfast cut off could soon be over. However, you probably shouldn't start making McDonald's brunch plans yet (or ever, really). While the memo was a significant heads-up from the company's important-sounding "All-day Breakfast Task Force," the plan still needs approval from committees and franchisees, according to the report. But how could anyone say no to a Big Breakfast with Hotcakes at midnight? A spokesperson for the golden arches told NRN that it is indeed testing all-day breakfast, but that there's "no news" on the matter yet -- well, besides the leaked internal memo. Tony Merevick is Cities News Editor at Thrillist and thinks it's a helluva time to be alive. Send news tips to news@thrillist.com and follow him on Twitter @tonymerevick.